Master, carest thou not that we perish? that even the wind and the sea obey him? Years ago, I saw a picture of this verse and loved it so much that my husband surprised me with it months later for Christmas. It illustrates the sea at both ends of the verse: The left side portrays the waters calming and the right side shows the dark clouds, angry waves, and flashing lightening. 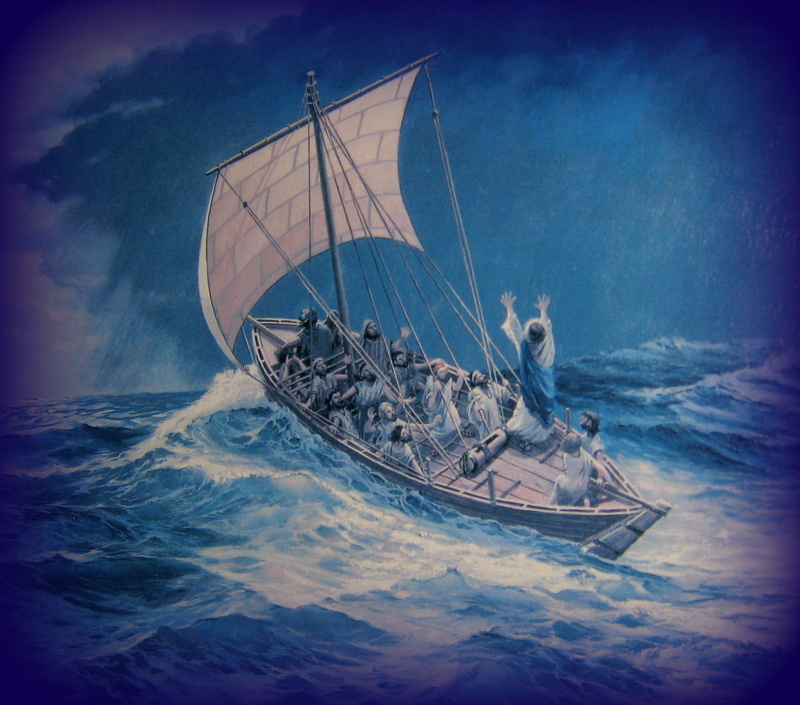 In between them is a small first-century fishing boat being tossed by the waves; however, in the boat among the frightened disciples, is Jesus: arms raised, telling the storm to cease. And it does. The picture loudly proclaims in word and picture: Peace, Be Still, often just the reminder that I need for the day! Jesus is in my boat! I can’t sink! There is NOTHING that can sink my boat! I hope you took the time to read all the verses. We don’t often sing all of them, but notice that each one starts with a description of the tempest and ends with the promised security in Jesus, our Lord. Truly, we can be just assured and shocked as the disciples when (not if) the Lord rebukes the winds and tells the waves to cease…and they do! So, just hang on and ride that thing! !